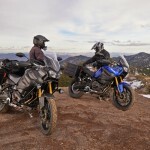 In January, Yamaha Canada revealed an updated Super Tenere would be coming to its shores, now equipped with optional electronic suspension like its FJR1300 ES stablemate. 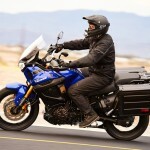 At the time, Yamaha’s U.S. arm was tight lipped about whether the Tenere ES would appear stateside, but we can now confirm what many have strongly suspected: Yes, the Super Tenere ES will indeed be coming here, along with an updated Super Tenere without the ES feature. 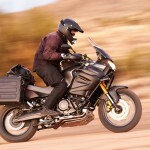 Pricing for the standard Tenere is set at $15,090. The ES option adds another $1100. 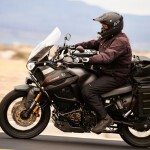 The Super Ten remains largely unchanged from the bike we rode at its introduction in 2012, and subsequently compared to its closest rivals in our Adventure-Touring Shootout that same year. As you can see in these pictures, styling remains similar, but there are big changes under the surface. The 1199cc parallel-Twin remains, still with a 270-degree crank, only now it receives a “modest” increase in horsepower and torque — two additional horses and 1.5 extra ft-lbs, according to Yamaha — which serves to deliver “even more exciting engine character and more pulling power.” The added power is needed, as it came in stone last in our A-T shootout with 90.8 horses. 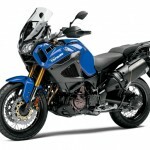 We chastised the Super Ten’s engine in our 2012 shootout for its lack of character, so Yamaha’s claim of more excitement has us cautiously optimistic. 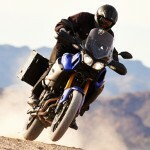 Yamaha retains its YCC-T (Yamaha Chip Controlled Throttle) ride-by-wire system, facilitating the three-position traction control as well as two different D-mode settings, Touring and Sport. 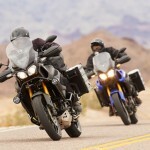 For 2014, Yamaha engineers programmed greater disparity between the two modes. 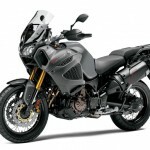 For its part, the three-position traction control regulates ignition timing and fuel metering in order to keep the rear wheel in check. 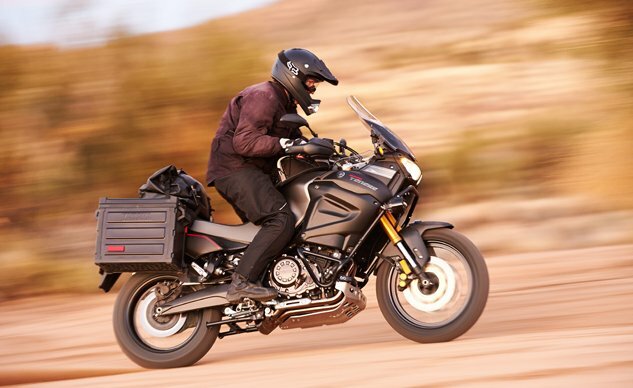 The biggest benefit of the ride-by-wire system, however, is the ability to fit the 2014 Tenere with cruise control, which should make many long-distance riders happy. 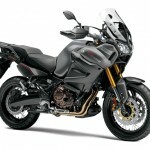 The other significant talking point is the electronic suspension, similar to the system on the FJR1300ES. 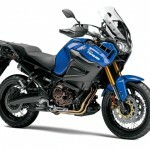 New for 2014, the ES version of the Super Tenere has the ability to electronically adjust the 43mm fork and single shock. Four spring preload settings, three damping adjustments and seven additional fine damping adjustments are available. So whether you’re riding solo, or two-up with the bags fully loaded, no longer do you need to get down on your knees to fiddle with clickers or turn knobs. 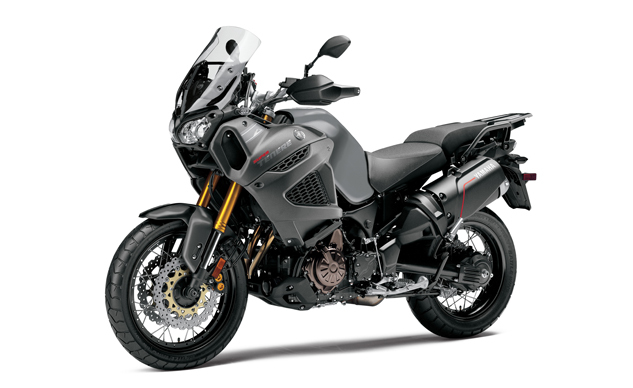 With a few button presses, the Super Tenere ES will adjust to your riding conditions. 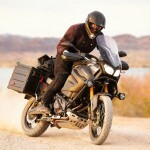 While the bump in power, cruise control, and digital suspenders are the main attractions, those aren’t the only new bits for the Super Ten this year. 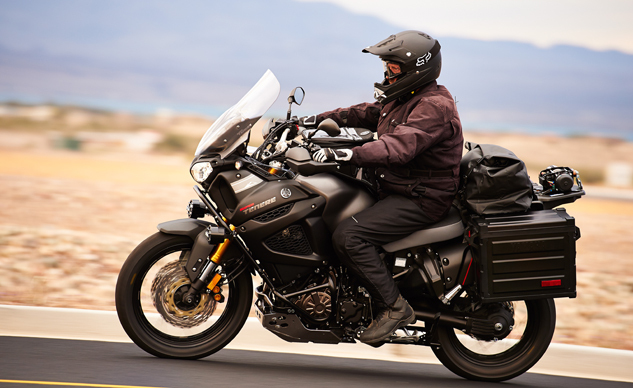 Touring riders will appreciate the redesigned windscreen, which is claimed to offer even better wind protection than before. Better still, its adjustment can now be done without tools! A new top triple clamp is mated to bars that are now placed 10mm higher and 10mm closer to the rider for a more relaxed ride. 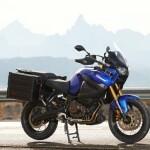 The Tenere also benefits from a new multi-function digital meter with LCD info screen, LED turn signals, and a revised saddle, which can be adjusted one inch higher than its standard 33 inches. Those who opt for the ES also get three-position heated grips, a huge benefit when riding in the cold. While not a new feature, the Super Ten’s ABS and Unified Brake System (UBS) is worth mentioning again. This system operates both brakes together when pulling the front brake lever, which can be helpful when riding while standing on the pegs. However, applying the rear brake first overrides UBS, making front and rear braking independent again. Dirt riders will be disappointed to hear you still can’t turn the ABS off via menu buttons. But thanks to the investigative work of some cagey Super Ten owners, if the 2014 is anything like its predecessor, one should be able to circumvent this minor setback by propping the bike on its centerstand and running it in gear. This triggers an ABS error code, shutting the ABS off. 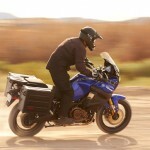 Long-distance riding is encouraged thanks to the six-gallon fuel tank, and Yamaha estimates the bike can return a very respectable 43.0 mpg. 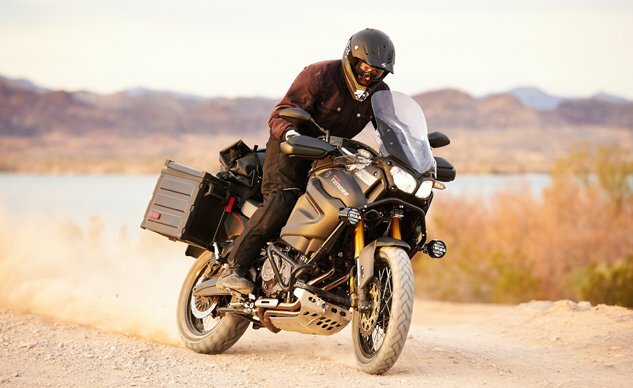 Available in Matte Grey or Matte Black, we look forward to bringing you a first ride review of the new and improved Super Tenere in early April. 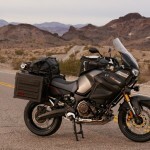 Be sure to check out the mini gallery below for images of both the Super Tenere and Super Tenere ES.